Melllvar is the ultimate fan! When I last took my cat to the vet, the attending technician recommended that I put Dixon on an all-wet food diet. After I told her that I’ve tried but he really loves his dry Wellness Core food and is only moderately interested in his Natural Balance wet foods, she recommended some brands. After experimenting with the (expensive!) 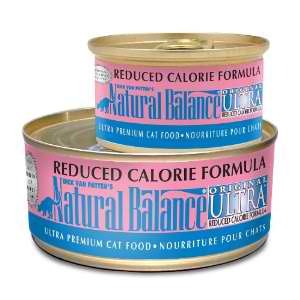 foods, I finally found a brand flavor he likes: Natural Balance Reduced Calorie Formula. Yep, my structurally large kitty (32in nose to tail, 14lbs) loves the “diet” version of the food he was already eating (albeit reluctantly). It’s $1.59 for a 6oz can at Petco and I’ll have to feed him about 1.5 cans per day. That’s going to get expensive quickly (~$67/mo) so I’m looking to buy this flavor in bulk.